It may not have the glamour of Sydney or the trendiness of Melbourne, but Canberra more than rivals both when it comes to prime winter fun. Don’t believe us? Simply read on! It’s cold, wet and miserable, so what better antidote than a bounteous feast of international curry? 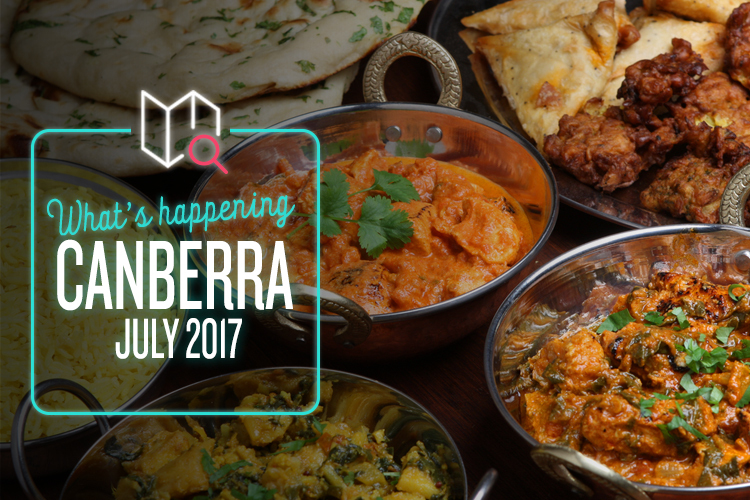 More than 30 of Canberra’s greatest purveyors of spicy goodness will converge on the city centre for a single delicious weekend, serving up the goods from 11am to 8pm on Friday, Saturday and Sunday. It’s going to be a fantastic foodie occasion, with dishes hailing from India, Sri Lanka, Thailand, Laos, and a few unexpected sources like Europe and the Philippines. There’s also live entertainment, Indian dancing, and the opportunity to blow your head clean off at the chilli-eating contest. Hey, why not? How hot can they be? Yay, it’s Christmas! Well, it’s not, but who really cares about such trivial details? The Christmas in July Markets provides a traditionally wintery feel that the real thing just can’t match, and it’s well worth visiting to lift your spirits in these bitter, frosty months. Christmas trees, Christmassy food, handmade pressies from local artisans, gallons of mulled wine, and loads free festive entertainment (Dachshund races!) will ensure you have the jolliest of times, so don’t miss your chance to celebrate the yuletide half a year or so early. After all, if the queen gets two birthdays, why can’t we have two Christmases? It’s the least we deserve. “Good morning. In less than an hour, aircraft from here will join others from around the world. And you will be launching the largest aerial battle in the history of mankind. Mankind… that word should have a new meaning for all of us today-” Okay, okay, we’ll stop. Still, if you’re in the mood for a bit of flag waving, tearful saluting and bald eagle shooting on July 4th, there’s no better place to be than the good old Durham. This traditionally English pub will cast off its colonial chains and fill its taps with badass American brews, courtesy of Stone, Deschutes and Victory. Head down and give ‘em a taste! If you just so happen to be a lady, you might find this one rather interesting. Ultimate Woman’s Weekend travels the country to put on expos exclusively for women, where you can browse stalls, chat to business owners, try a cooking class, get indulgently pampered, and try your hand at various other fun, interesting and relaxing activities. It’s basically awesome, and it’s definitely something you should consider checking out while it’s here in town. Better yet, all profits go straight to Beryl Women Inc., a local organisation dedicated to helping women escape and overcome abuse and domestic violence. Seems like a pretty good deal to us.